One of the first built machines would probably be the railroad trains. Now in the 21st century we have subway trains all around America. The automobile of the world has come a long way through innovation. Many things of technology has changed and some are easier to use. Thomas Edison has invented many things of electricity. The light bulb was new in the early 20th century. Back then in the ancient times we had simple telescopes, but now in the present they are more advanced thanks to Edwin Hubble who invented the Hubble telescope back in 1929. 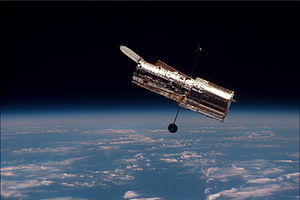 The Hubble telescope is one of the largest telescopes in American history. Computers beginning in the 60’s and 70’s has been improved everyday of every year. The first all types computer was built in in 1822. The first railroad was named a few times, first as the first continental railroad (known as the Pacific Railroad), until it stayed as the Overland Route. The railroad was open for traffic on May 10, 1869. The first modern automobile was built in 1886. The German inventor Carl Benz invented the automobile. Automobiles became affordable for most people when the Ford Model T became introduced in 1908.